TOWERING Gold Coast ruckman Jarrod Witts has signed a five-year contract extension with the Suns. The deal will keep the 26-year-old at Carrara until at least the end of 2024. Witts was due to come out of contract at season's end but has followed in the footsteps of midfielder David Swallow, who also inked a five-year deal earlier in the pre-season. 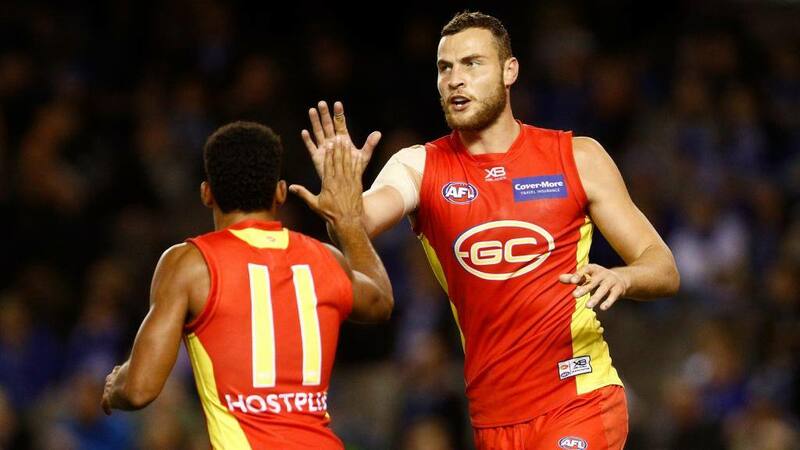 Gold Coast has now locked away two key pillars in its rebuild after losing co-captains Tom Lynch to Richmond via free agency and trading Steven May to Melbourne. Since being traded to the Suns from Collingwood after the 2016 season Witts has become one of the club's most valuable players, playing 40 games in two seasons. He told AFL.com.au that despite a 17th-placed finish in 2018 and a huge overhaul of both the playing list and coaching staff, he had total confidence in the club's future. "I've got full trust in the coaching group and have a lot of love for the boys," Witts said. "I think there's a sense of full collective buy-in from all parts of the footy club. "We've got a list with no egos, everyone just gets on with the job, there's zero push-back. Witts quickly elevated himself to the leadership group last season and will no doubt be in captaincy discussion when they happen in the next two months. Standing 209cm and weighing 110kg, he not only has a physical presence among the Suns, but when he talks, teammates listen. On the club's recent pre-season training camp to New Zealand, it was Witts who took the reins in a problem-solving activity to ensure all eight voices in his group were heard before a decision was made. "I try to not get up there and talk all the time because I feel it loses value," he said. "I love living on the coast with my partner, Renee. It's got a real community feel about it, the Gold Coast. "The way the footy club is now set up, it's really appealing and it was a really easy decision for me to make. "I'd love our fans to know that every time they come to a game, they're going to get a team that hunts hard and has manic pressure. "With the work we've done this pre-season, we should be able to sustain that for longer periods in the game and for more games than we did last year."